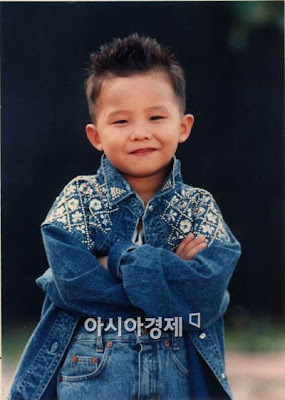 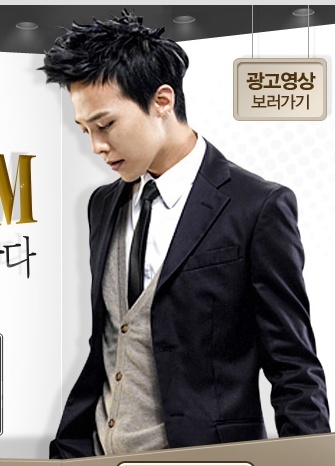 Source : GKGD @ DCInside Via Soompi. 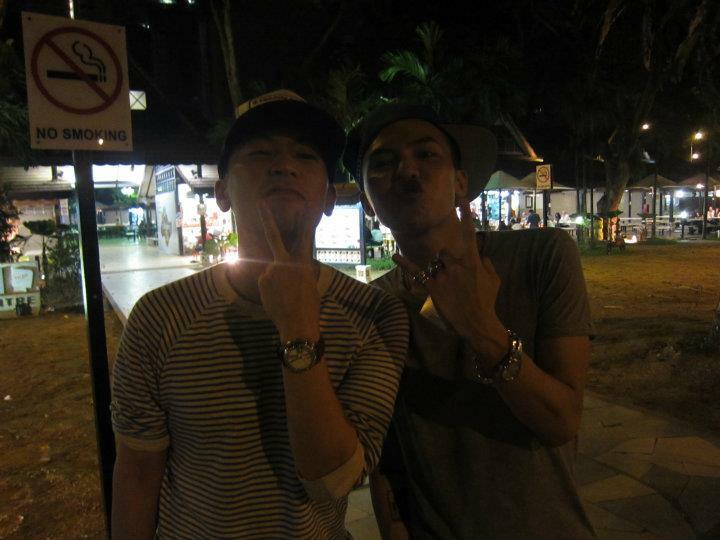 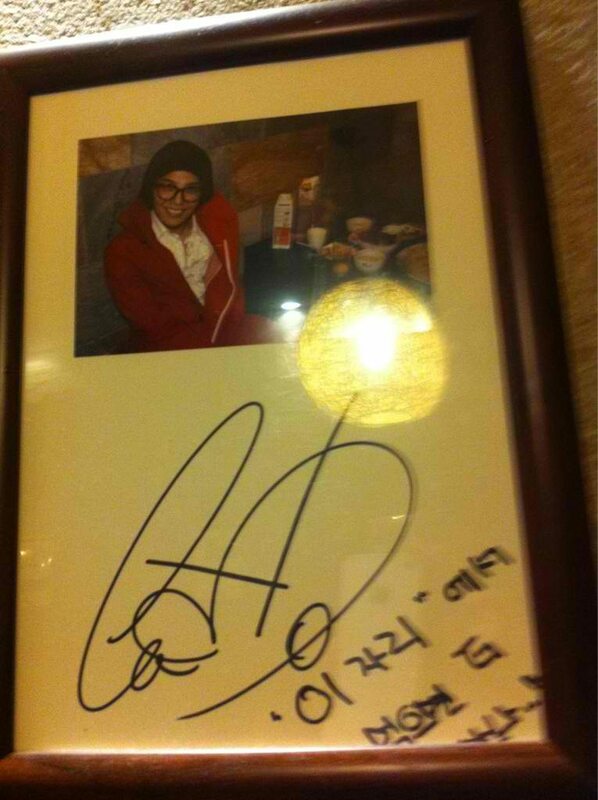 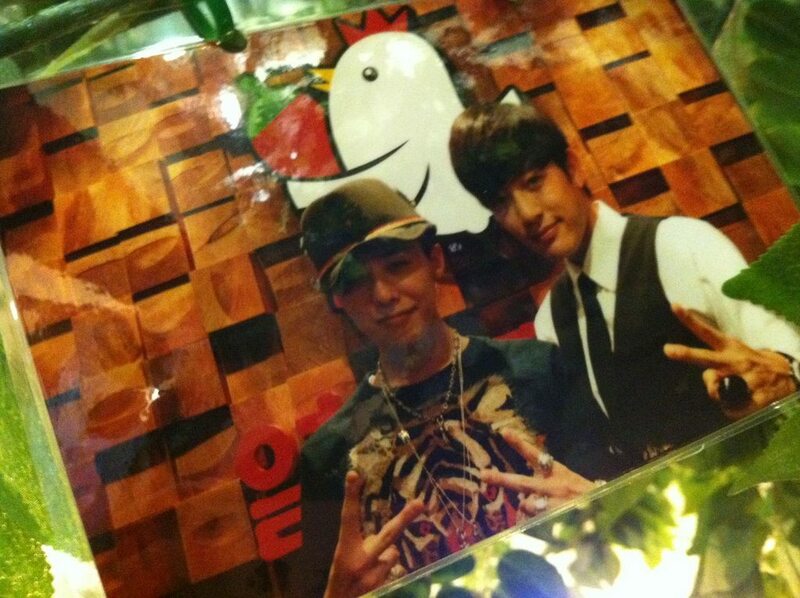 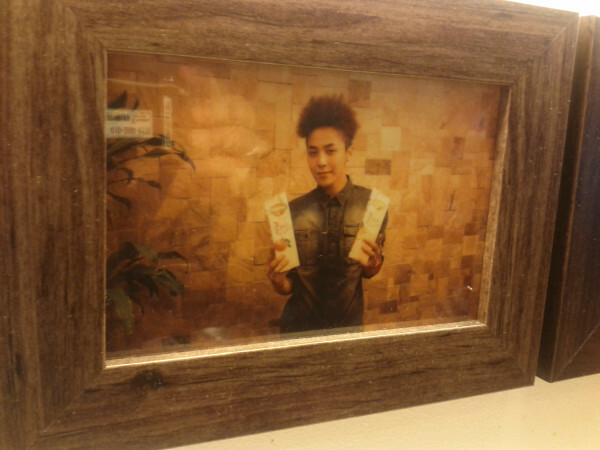 GD & Se7en's frame @ Yeolbong Chicken Restaurant! 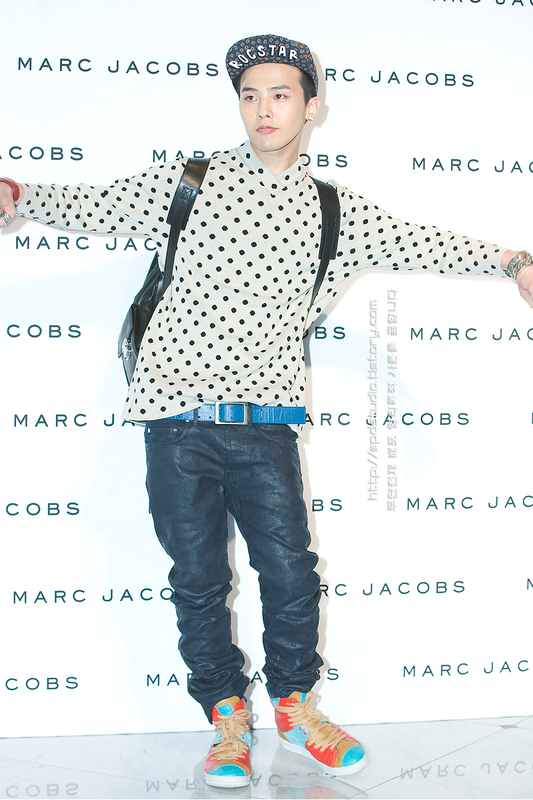 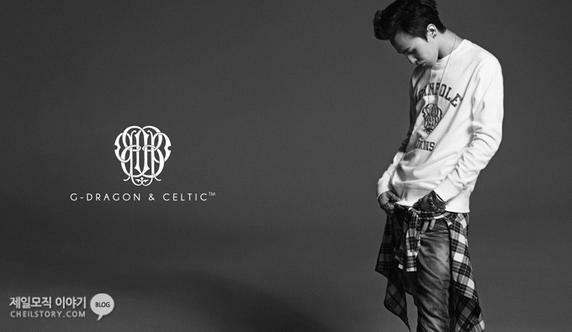 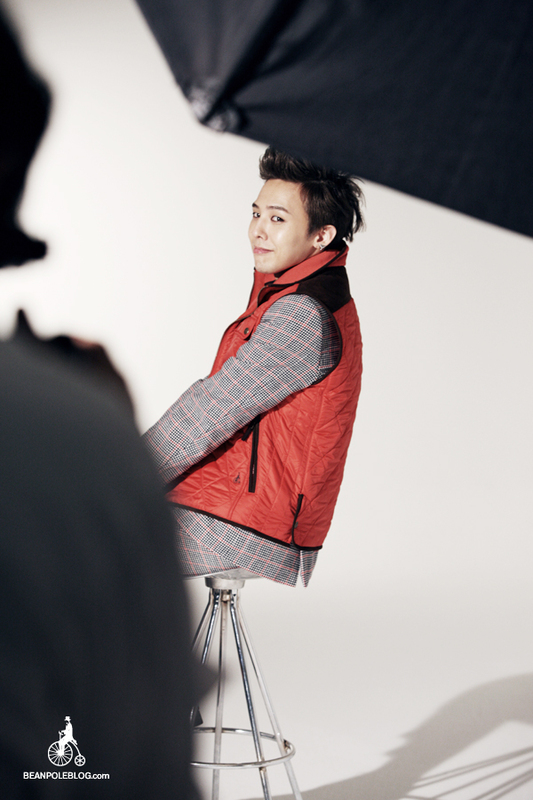 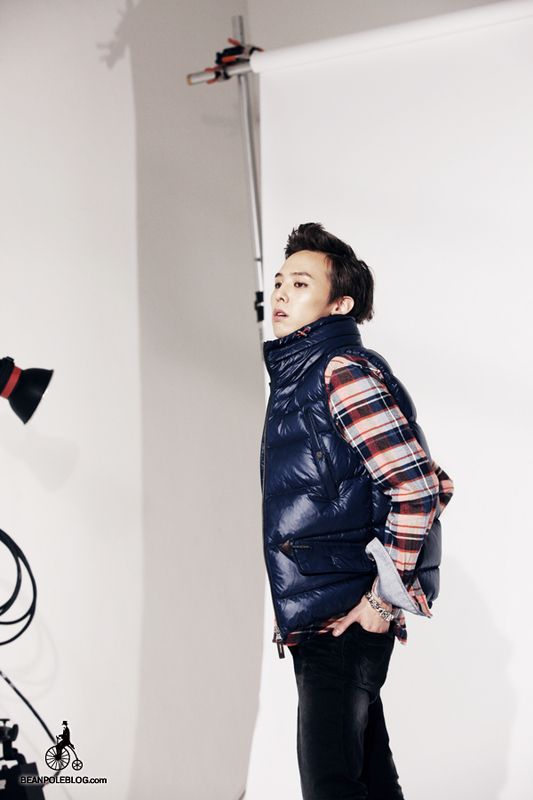 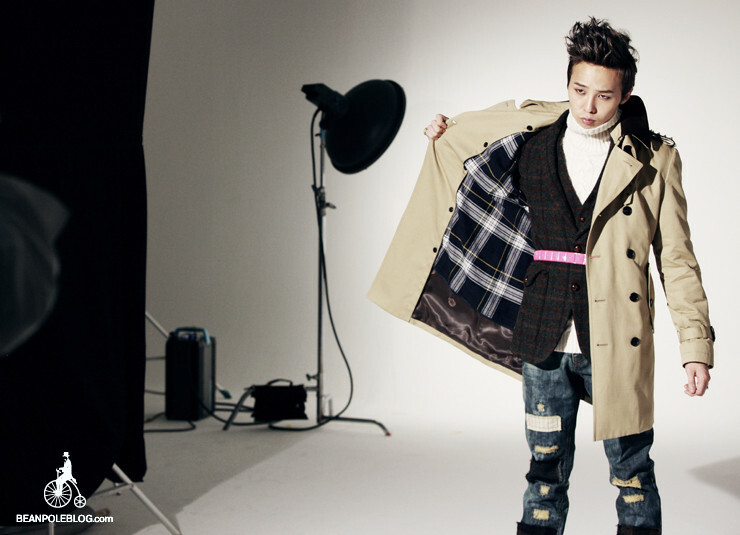 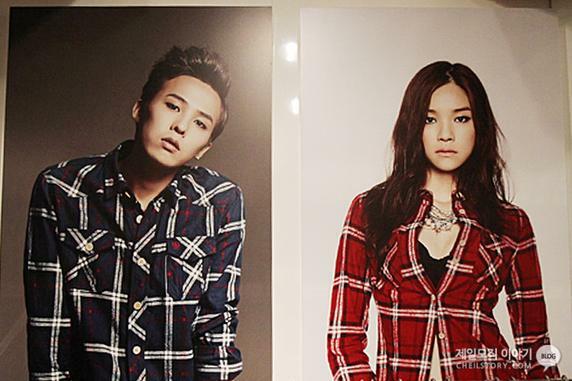 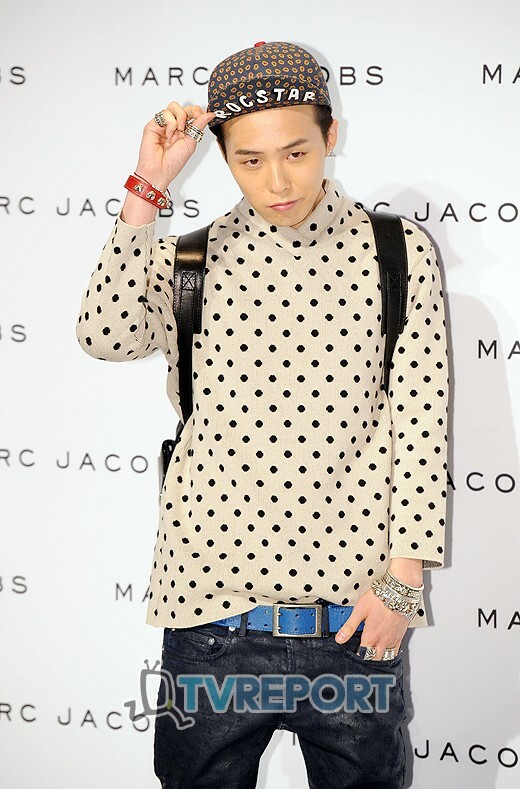 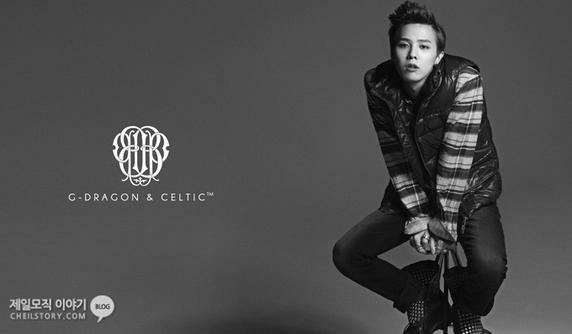 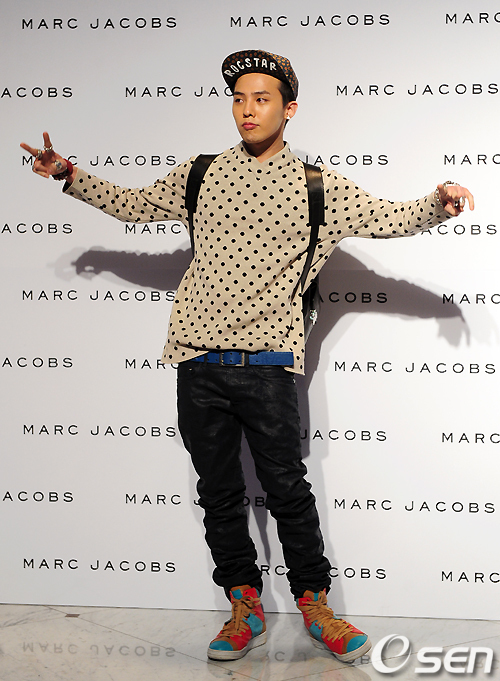 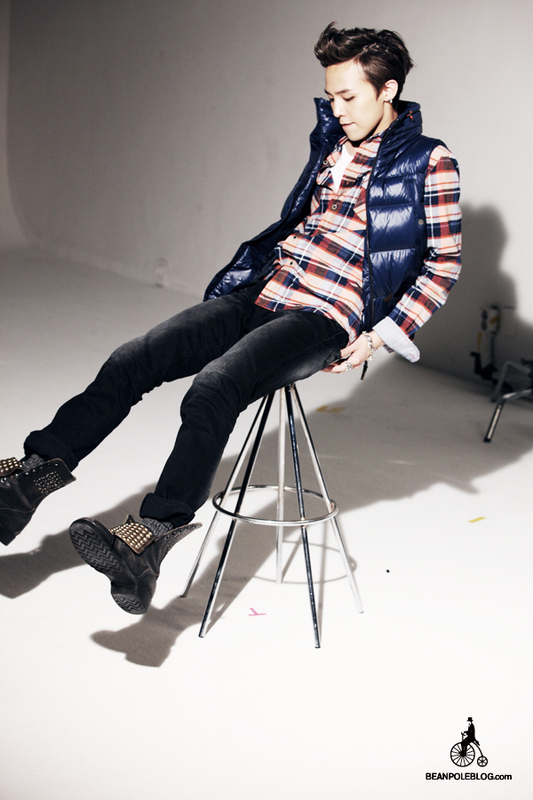 G-Dragon for Beanpole F/W Twitter Update! 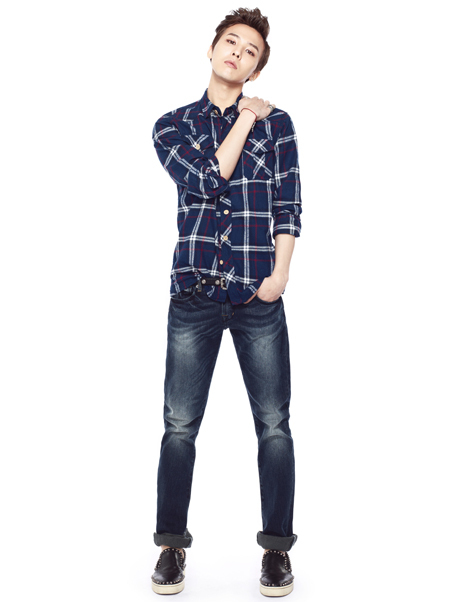 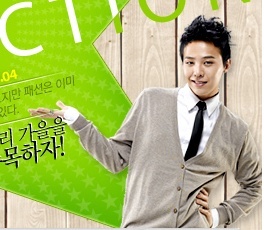 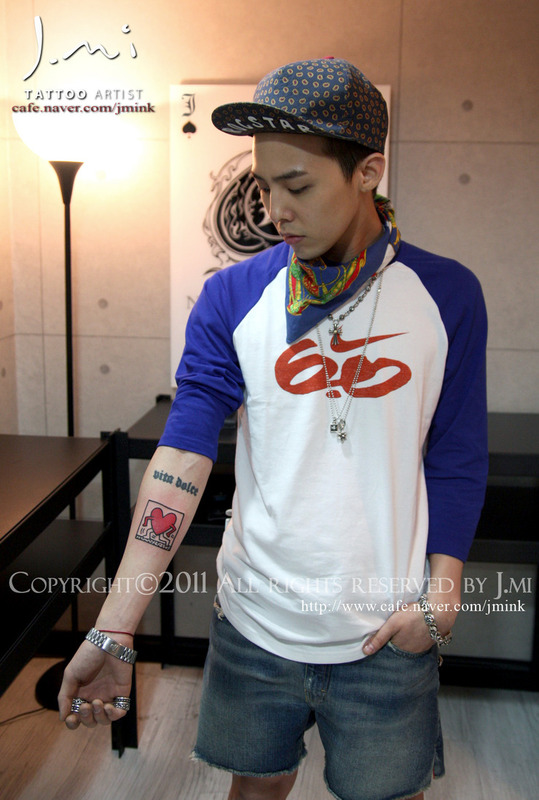 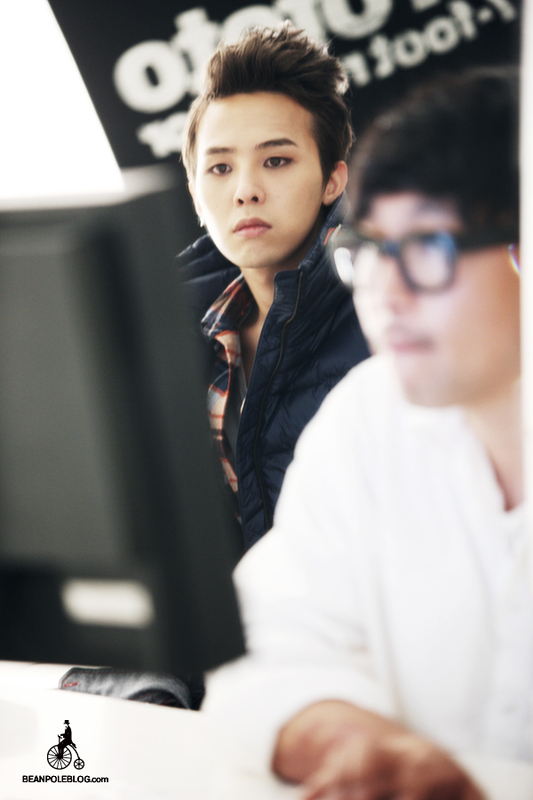 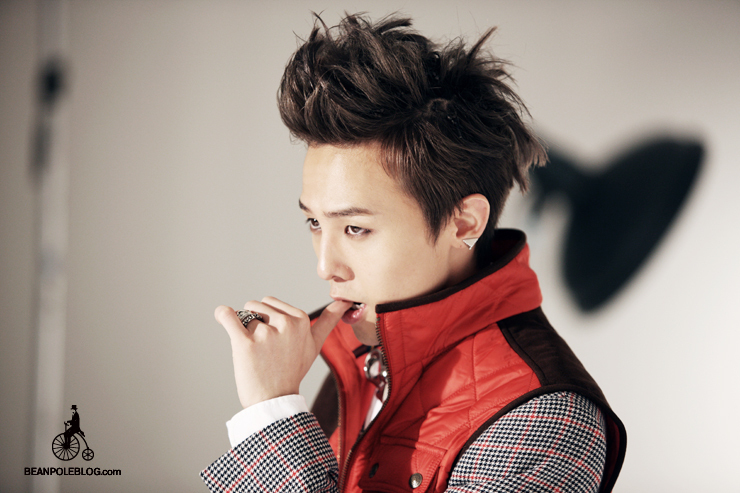 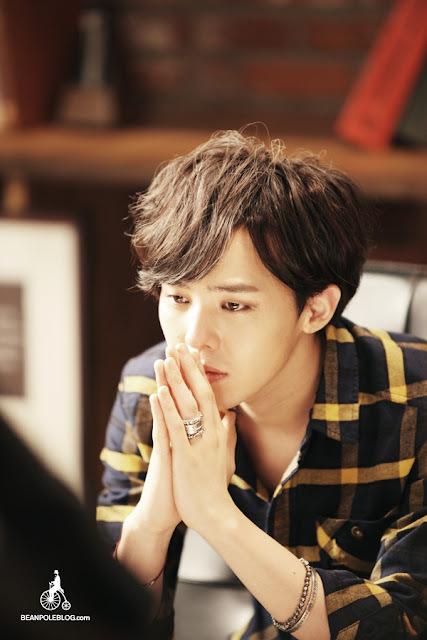 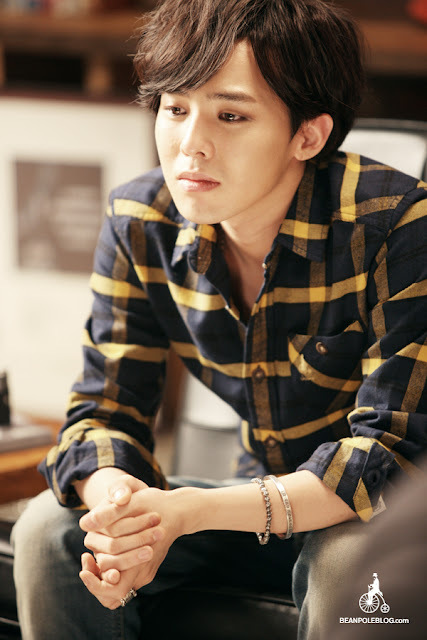 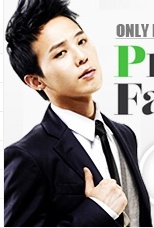 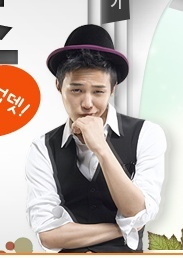 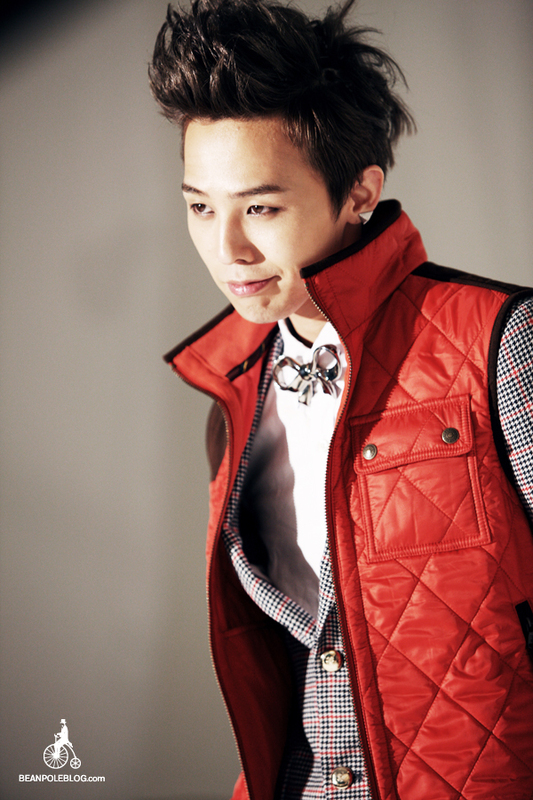 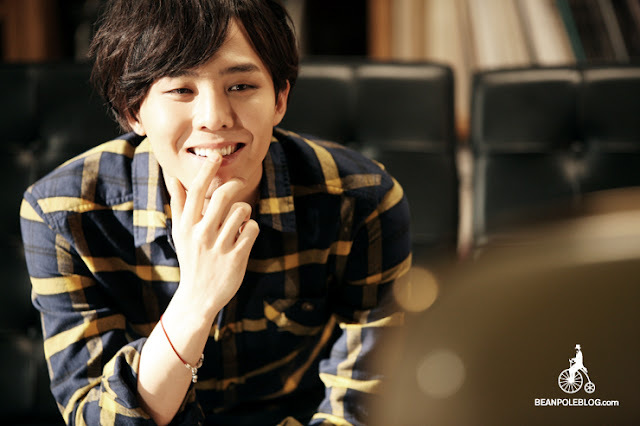 G-Dragon new pictures for G-Market! 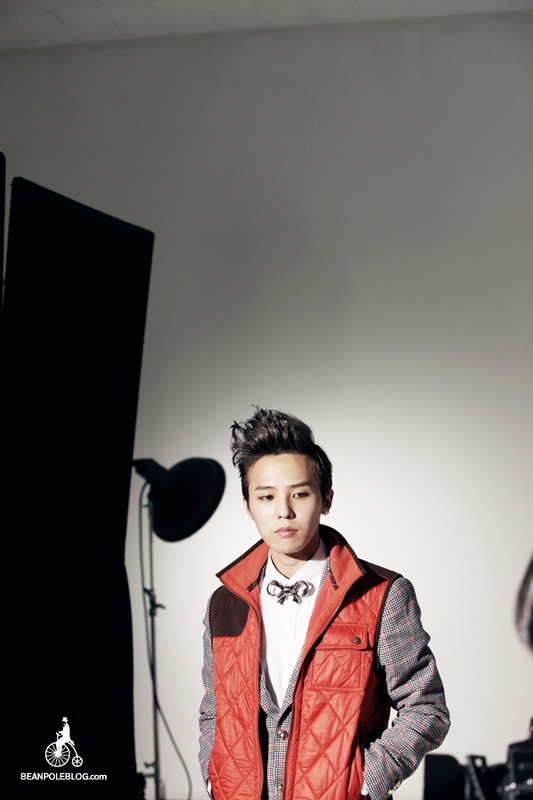 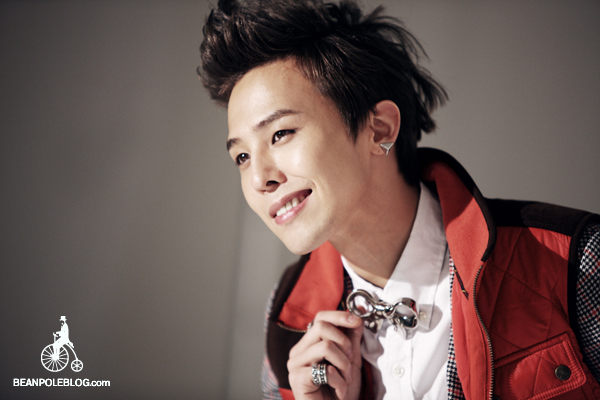 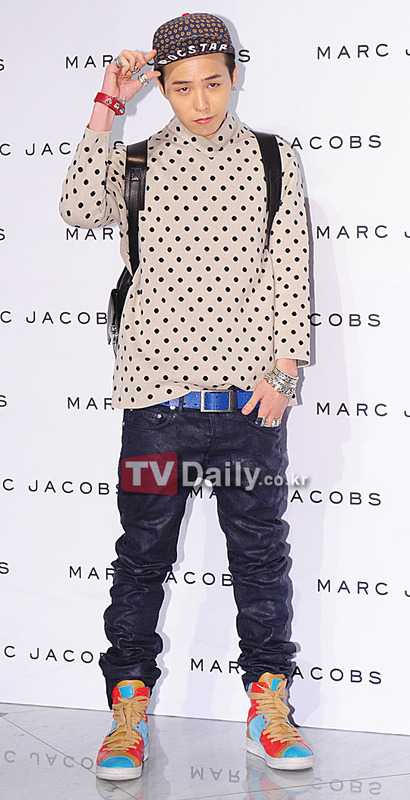 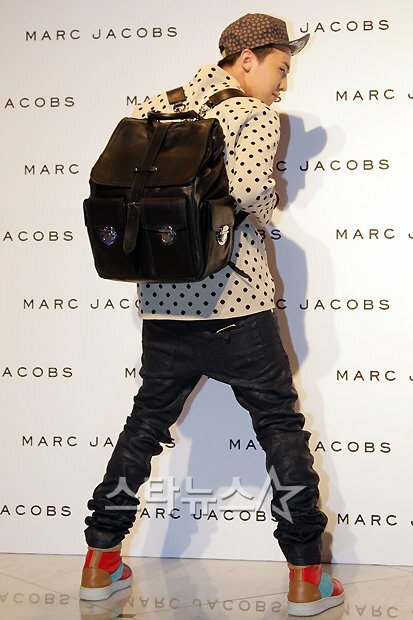 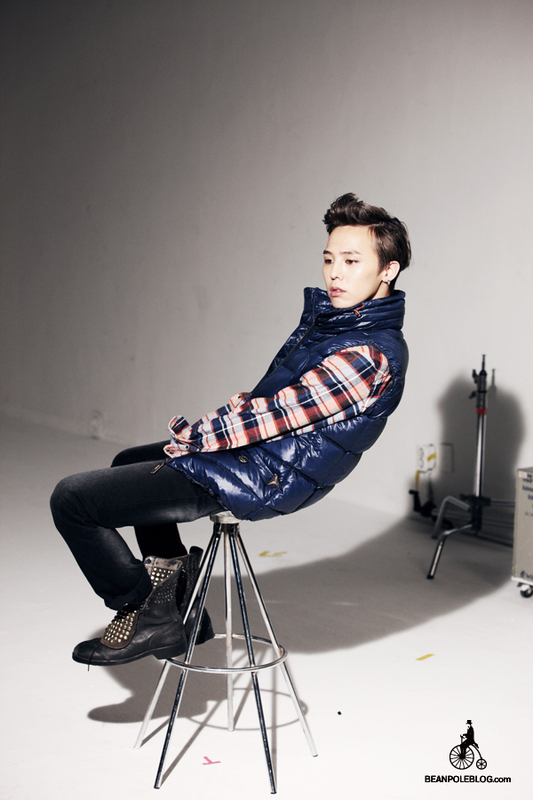 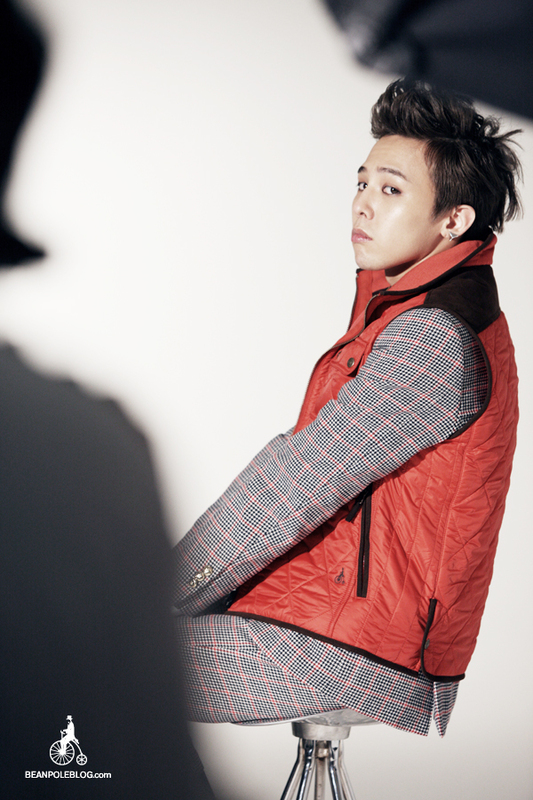 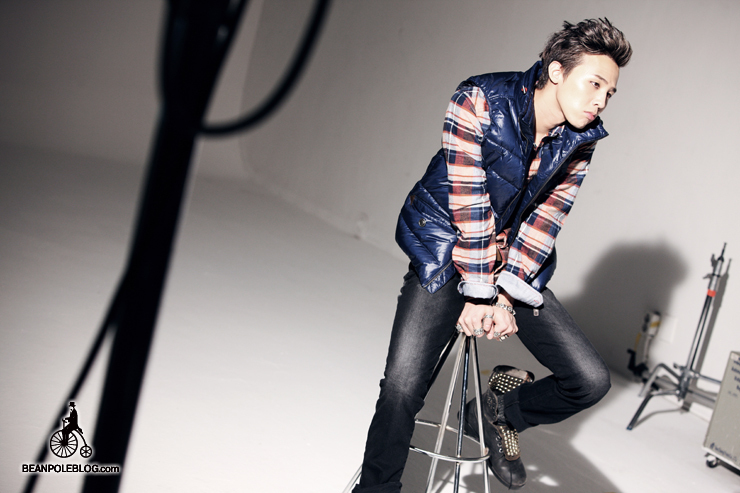 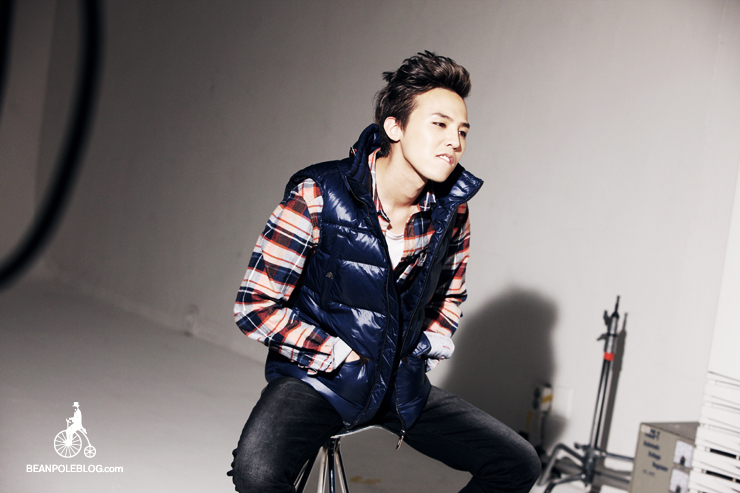 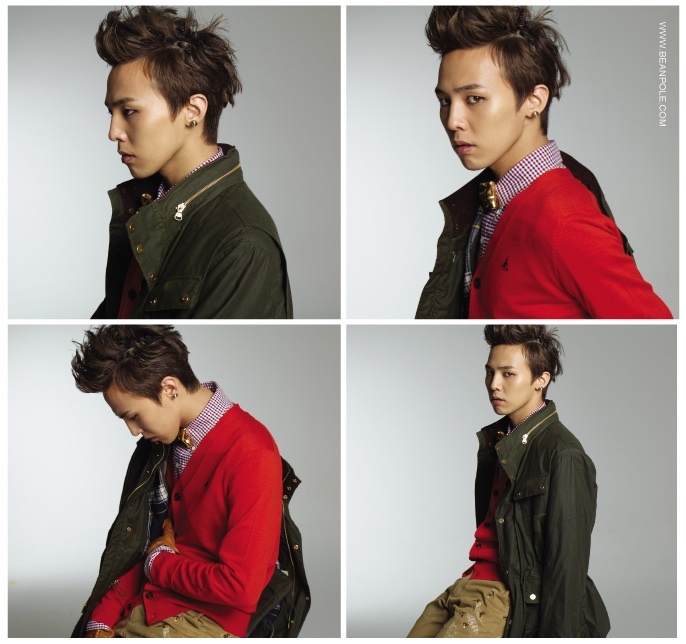 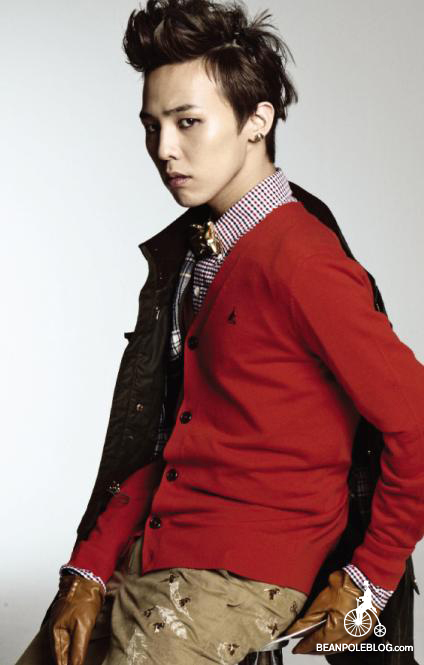 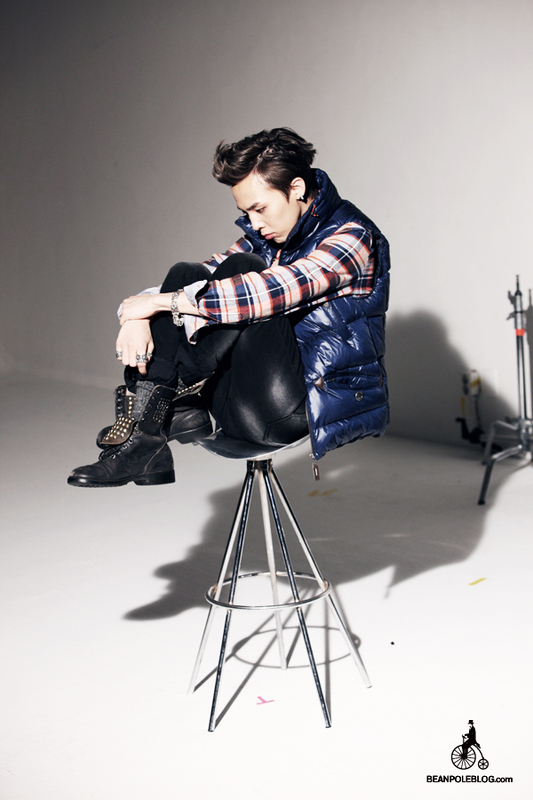 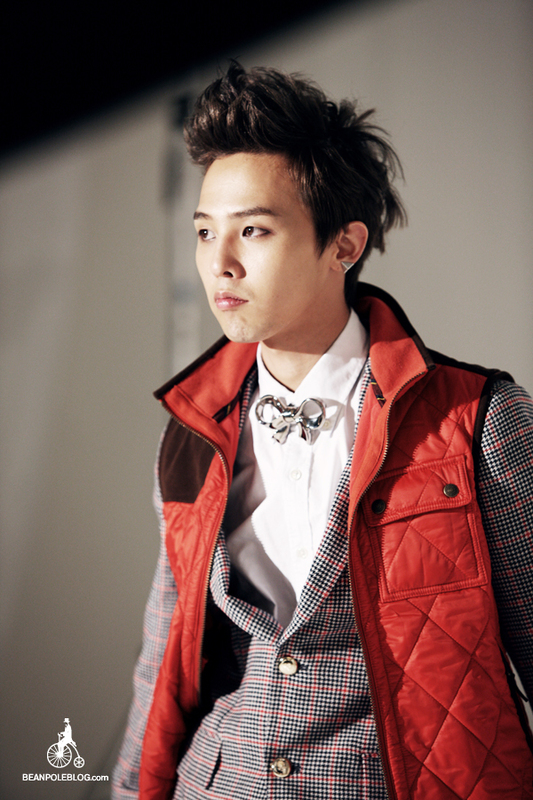 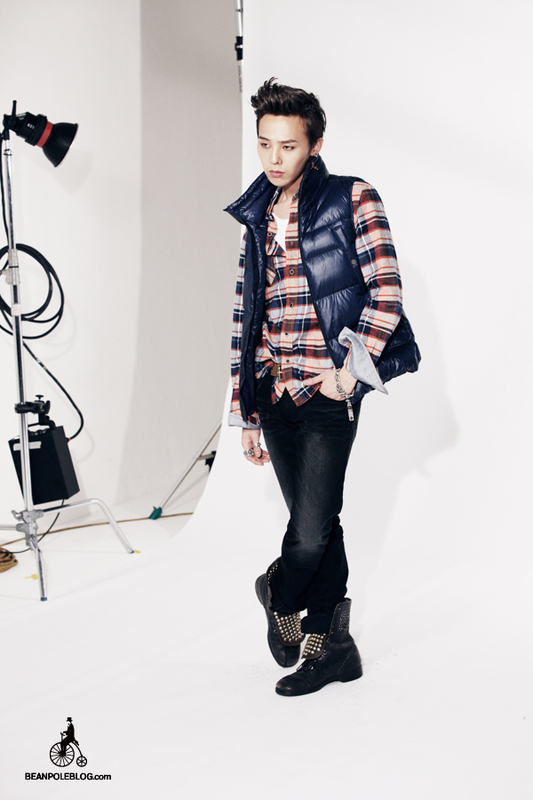 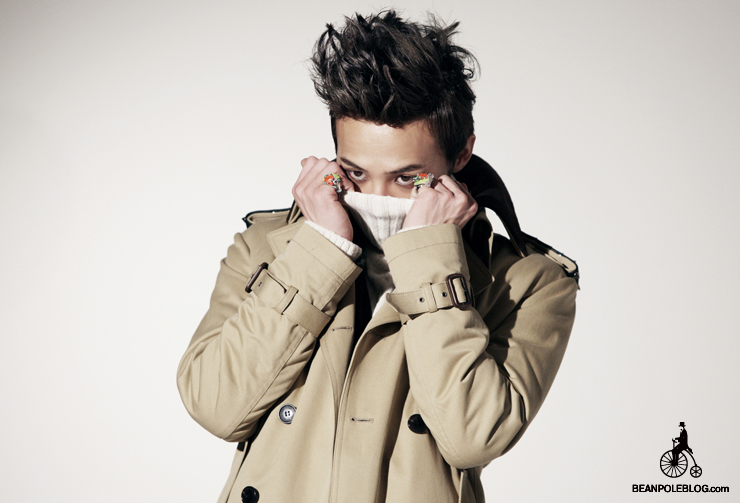 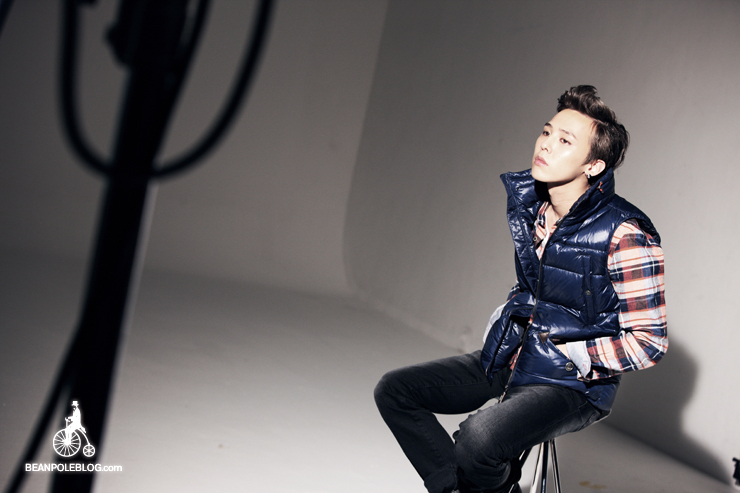 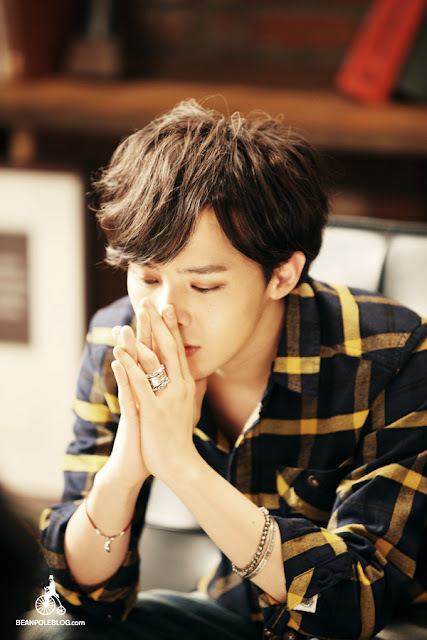 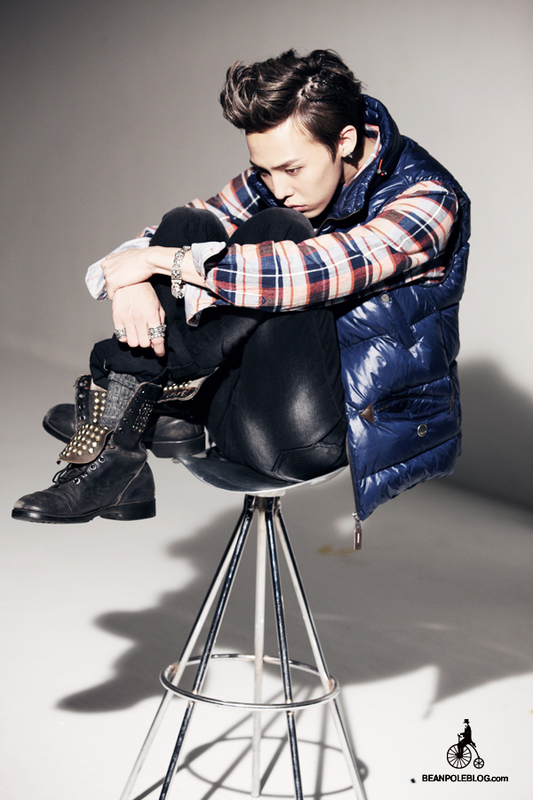 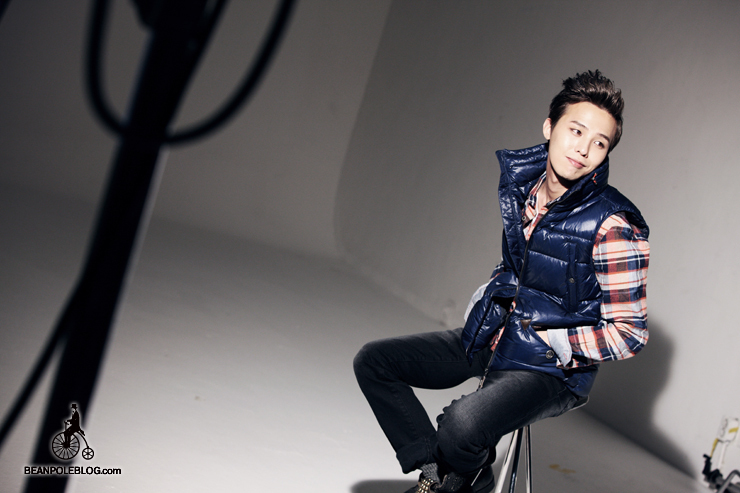 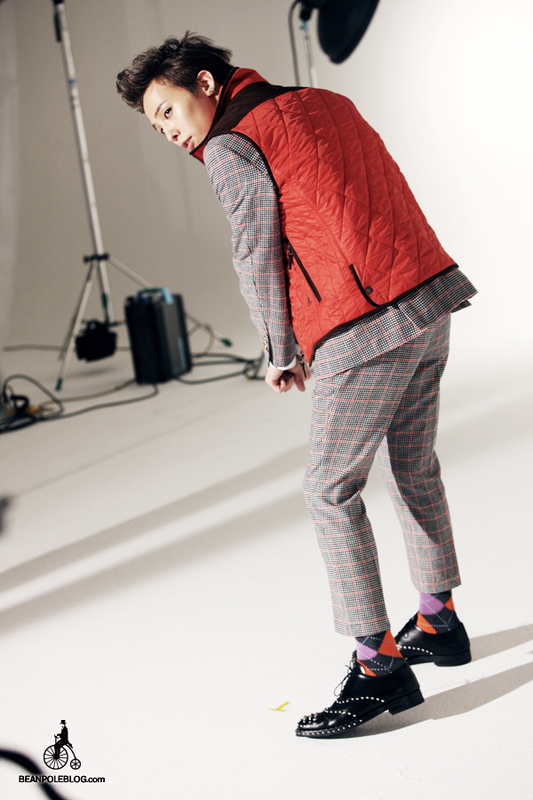 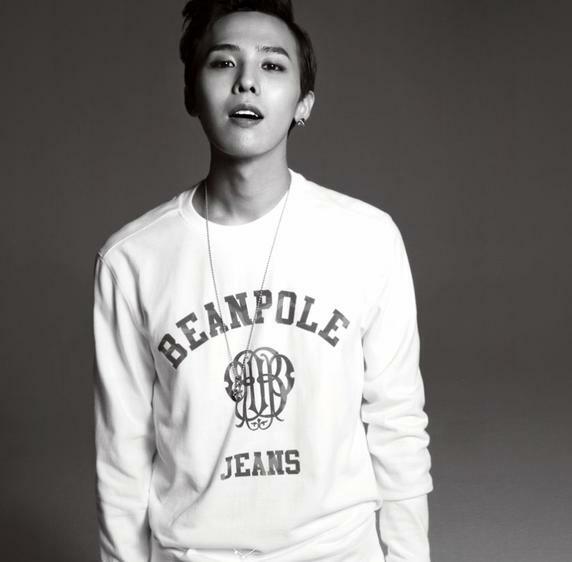 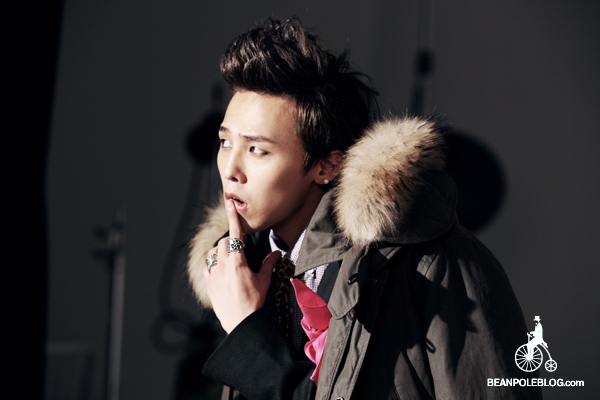 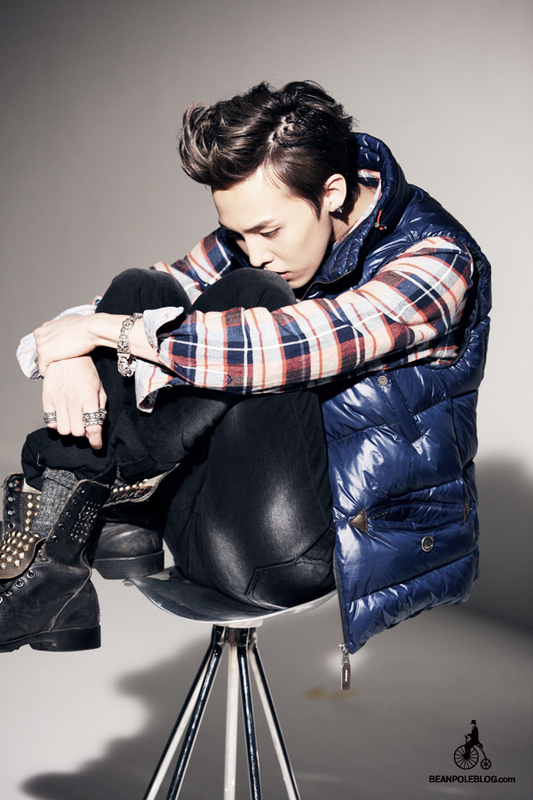 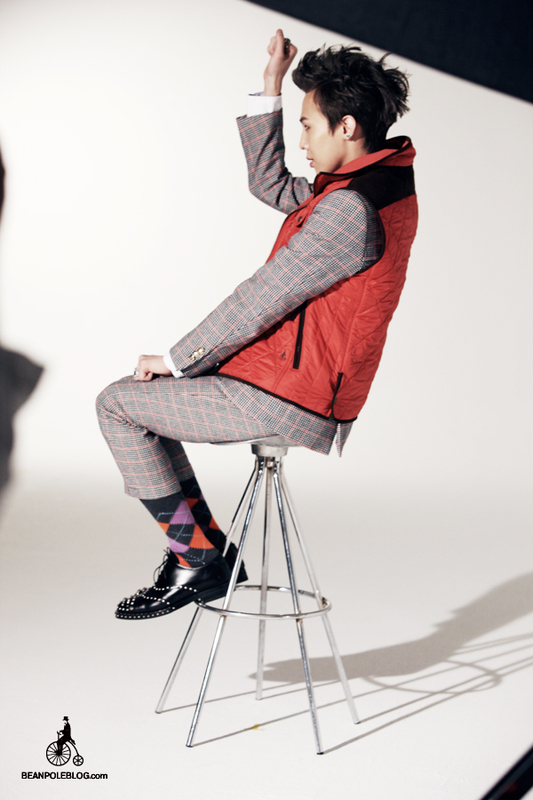 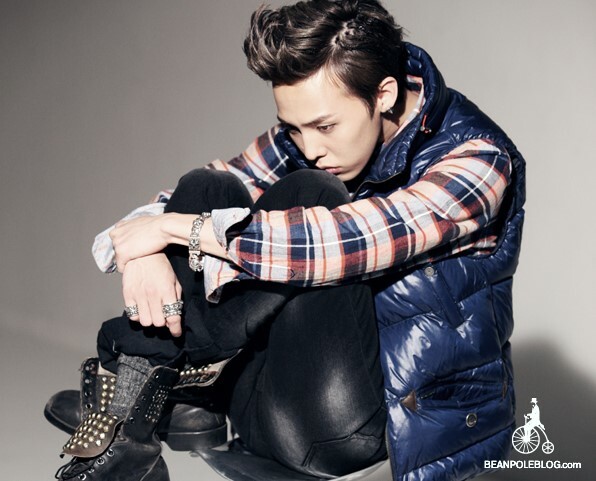 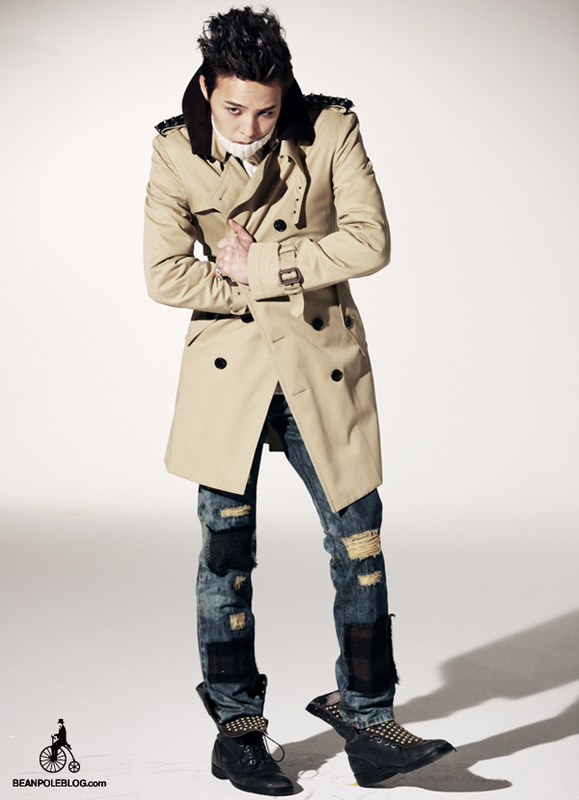 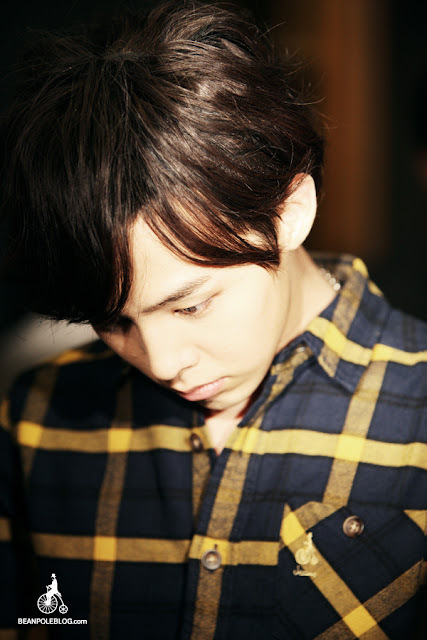 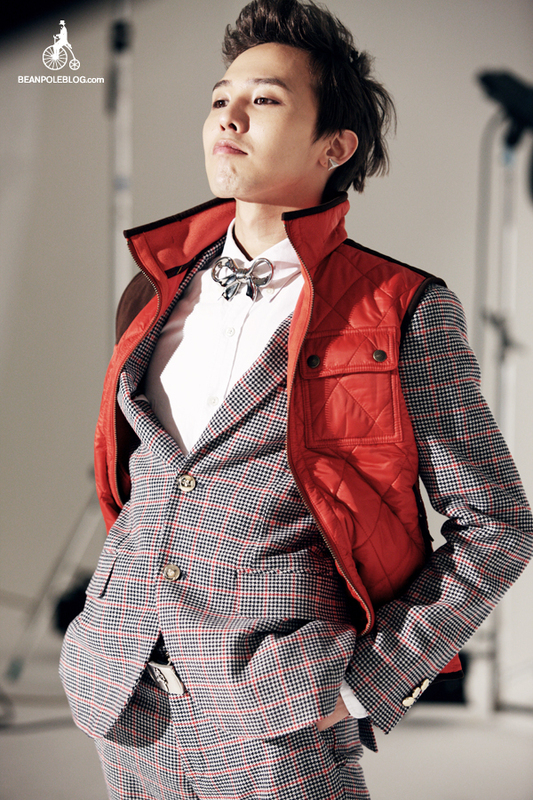 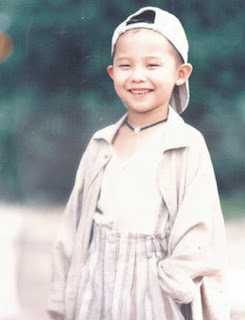 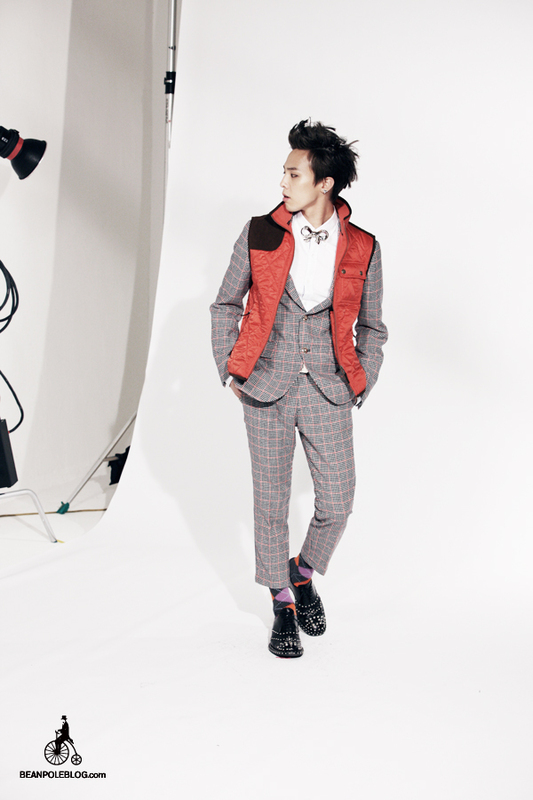 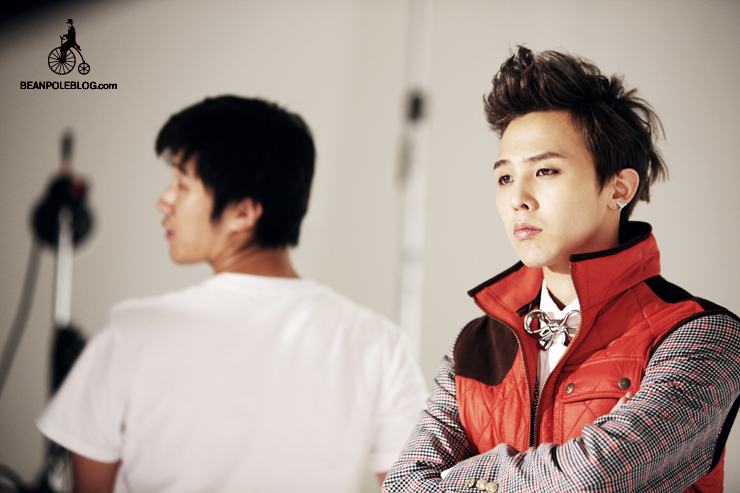 G-Dragon’s new photo in a Beanpole Shoot! 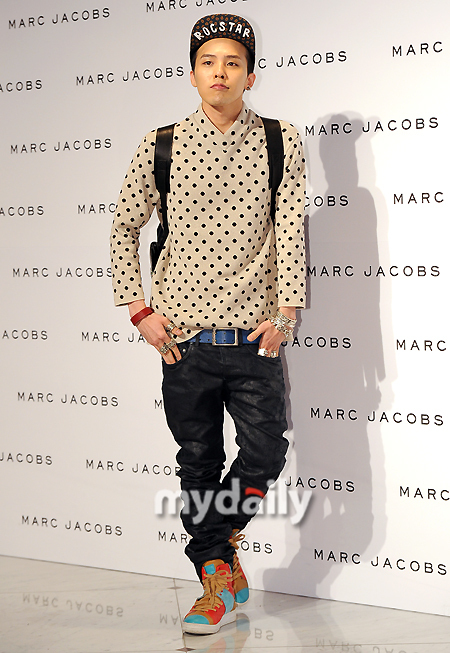 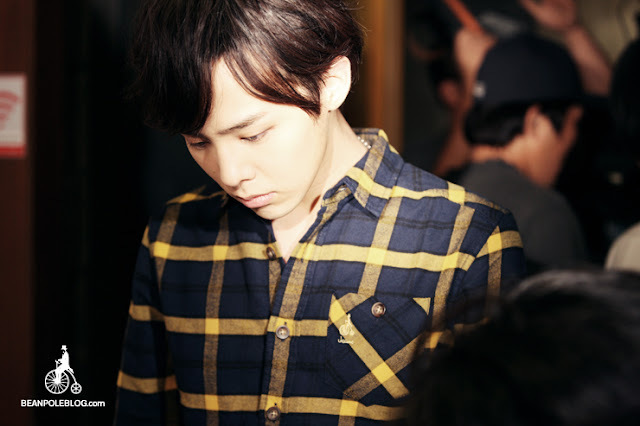 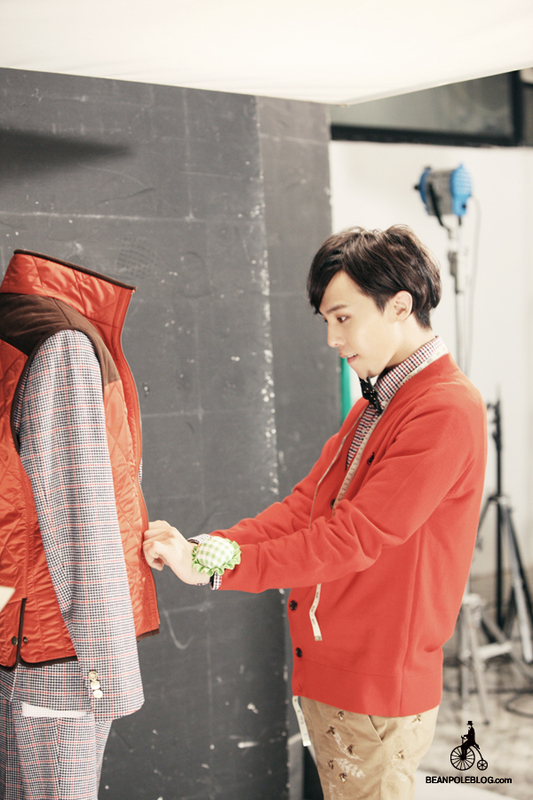 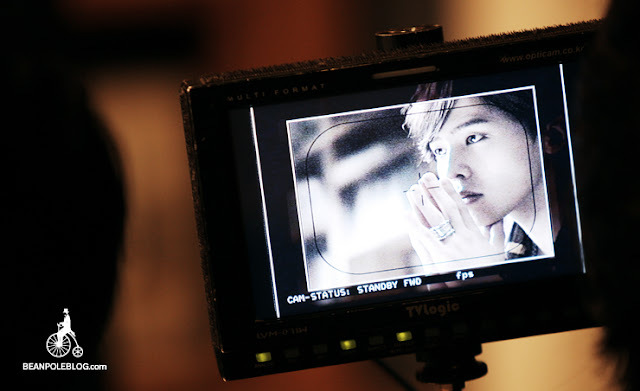 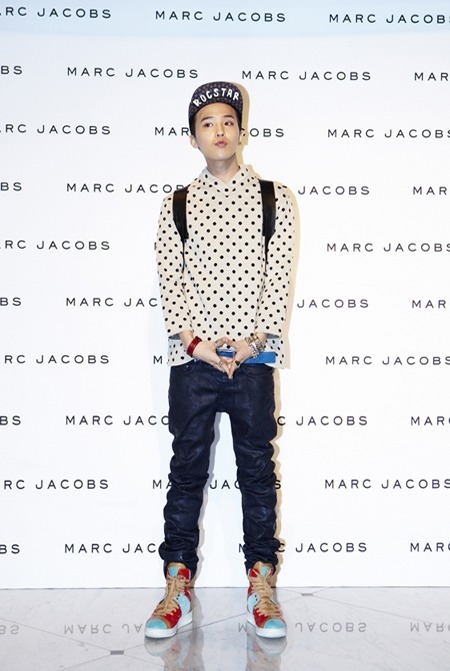 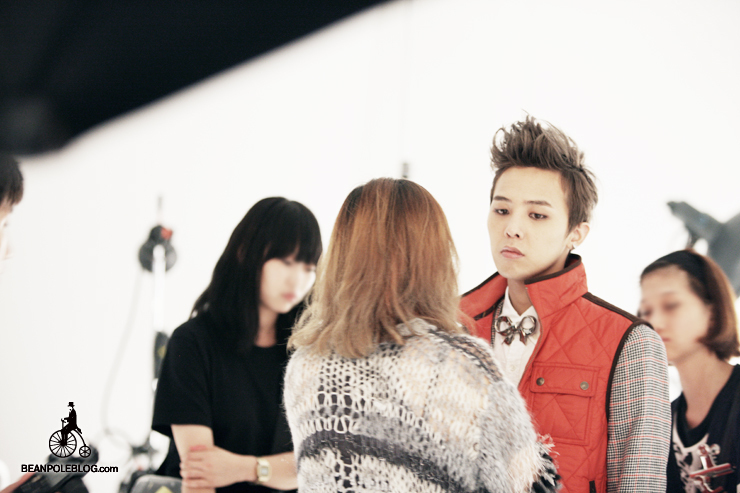 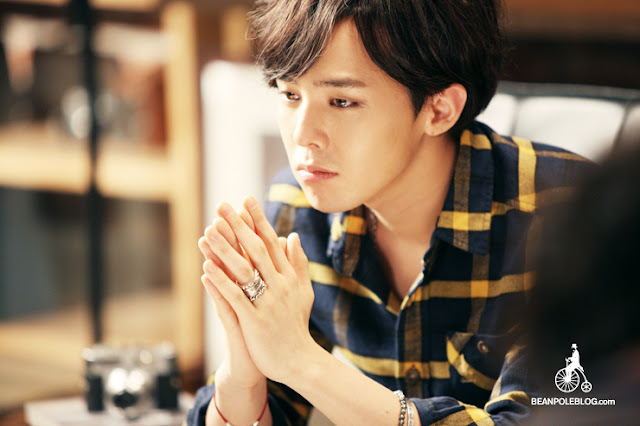 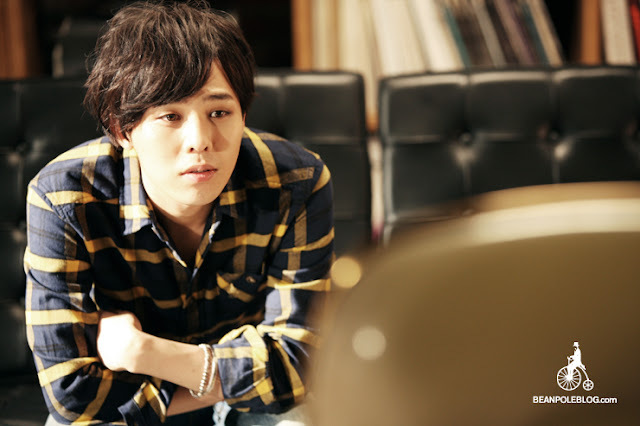 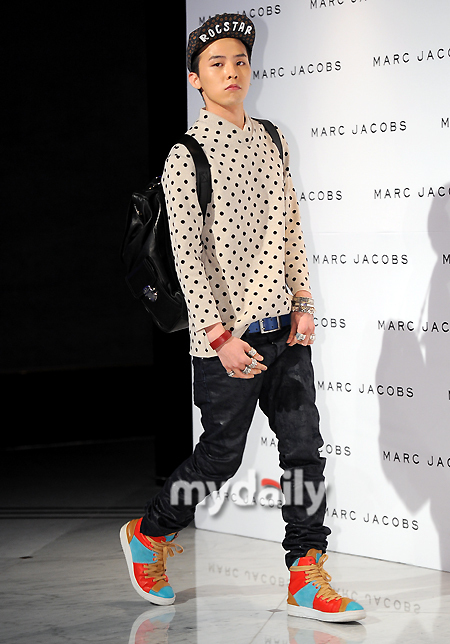 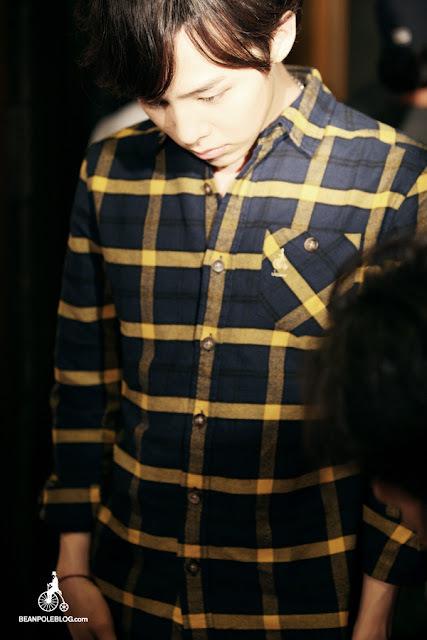 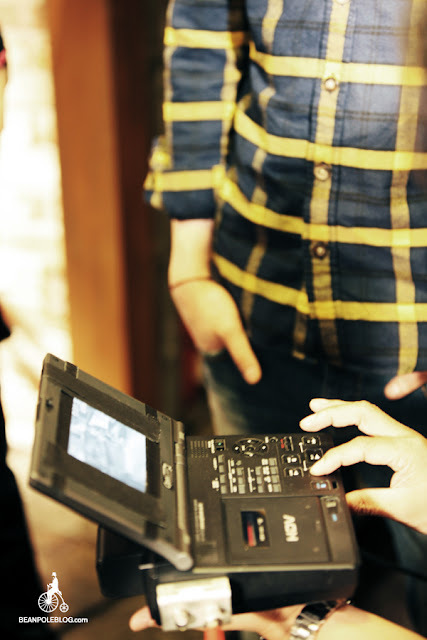 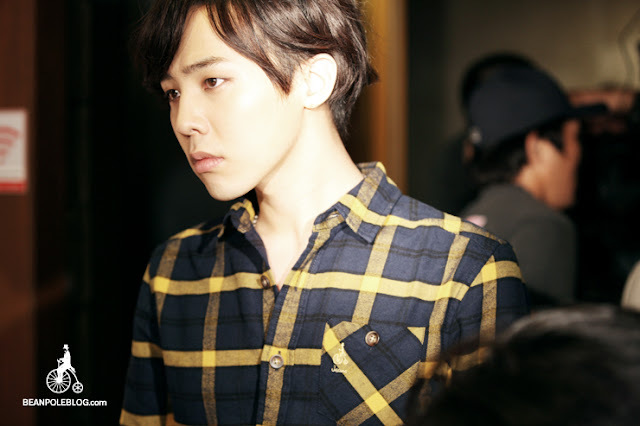 Beanpole: Beanpole style mentor G-Dragon in a shooting scene! 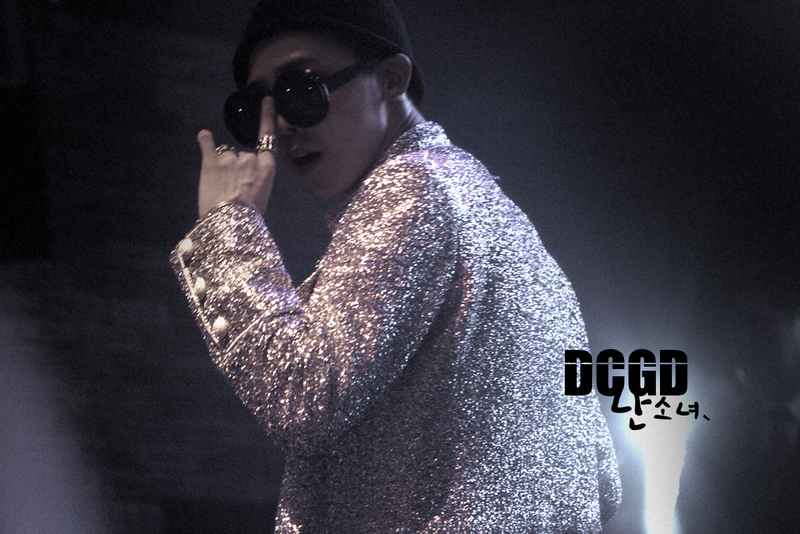 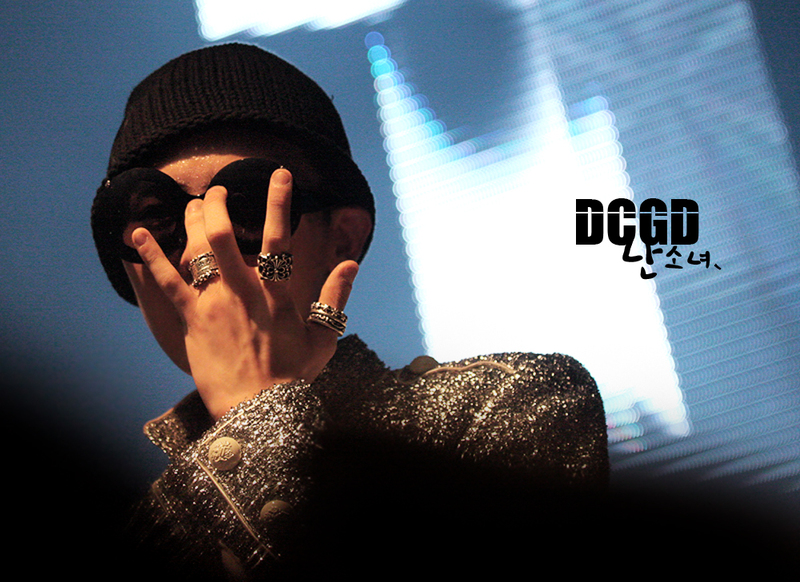 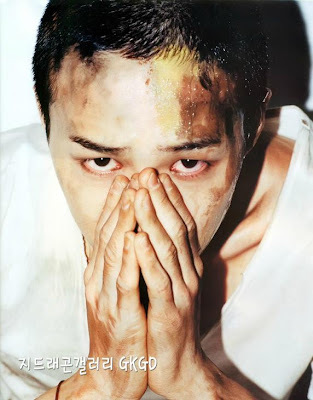 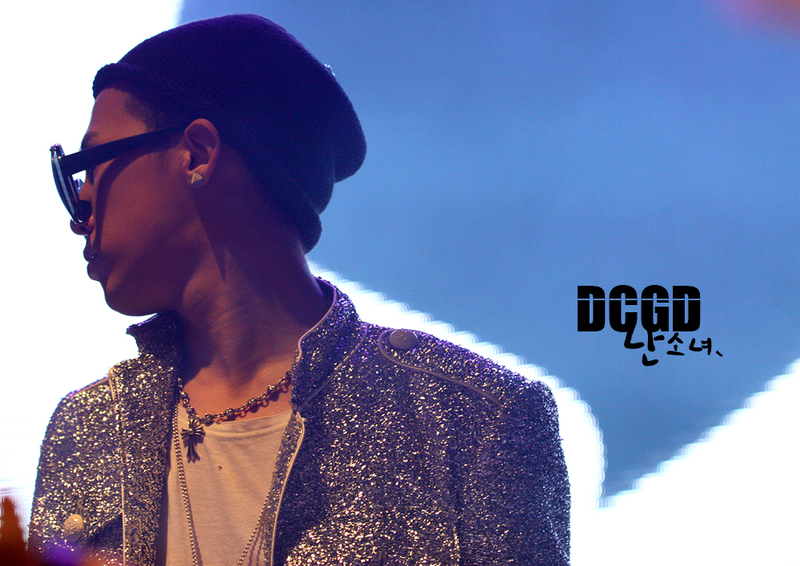 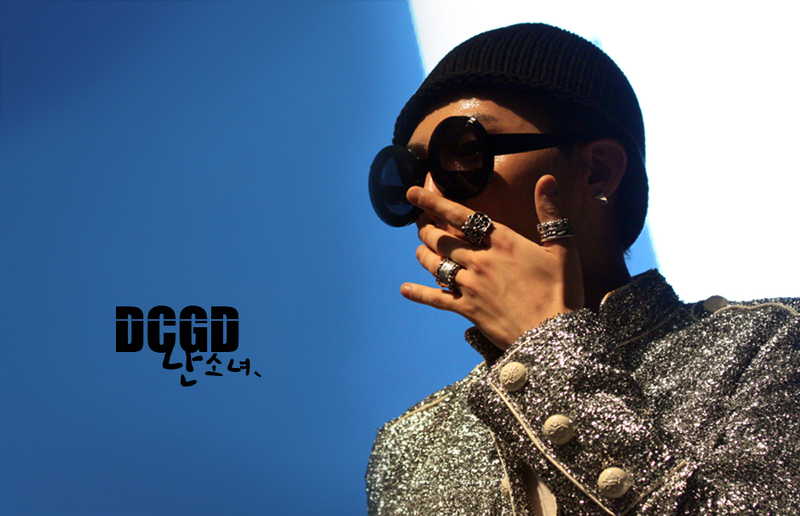 GD had such a touching performance that in the end, to the point of tears, I was touched/impressed by his concentration. 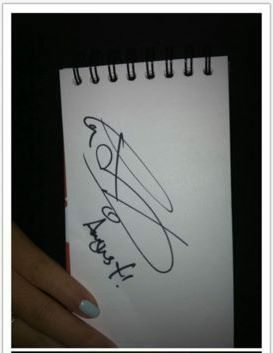 Fan Account of G-Dragon Signing Autograph! 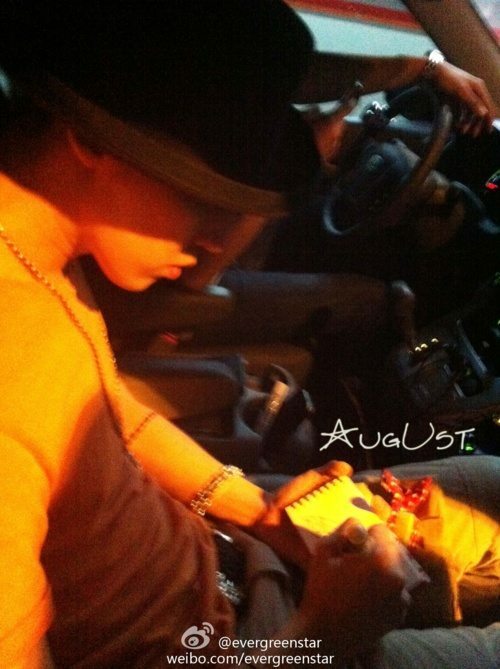 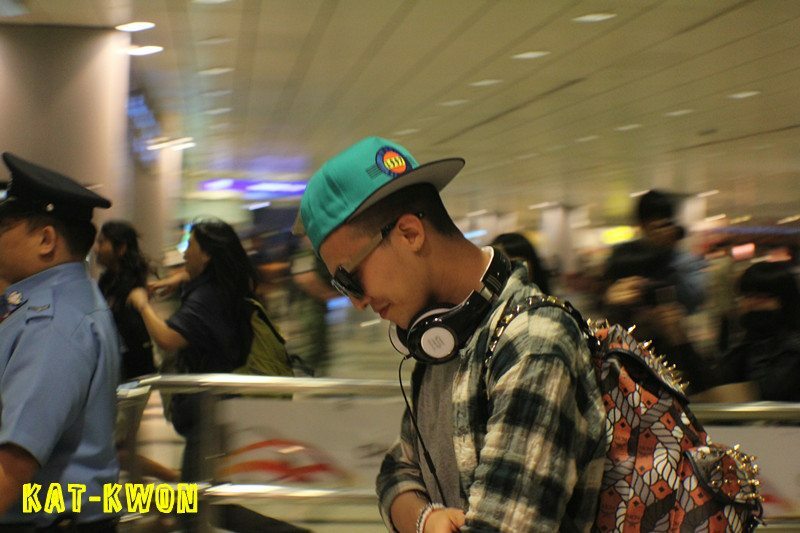 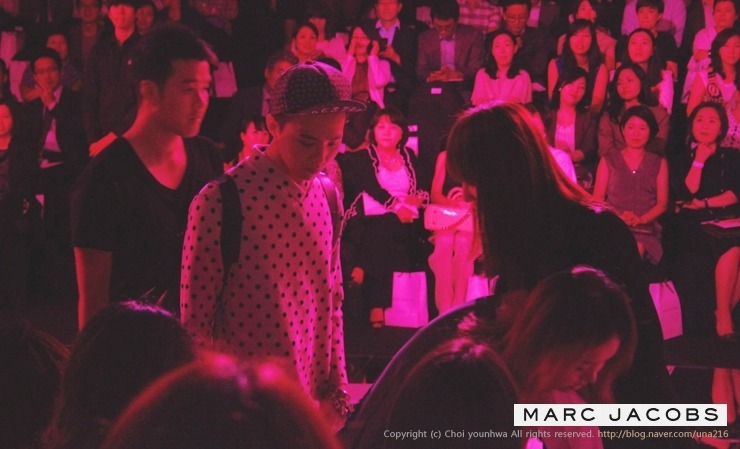 Kwon Jiyong signing my autograph with his pout and the perfect side profile. 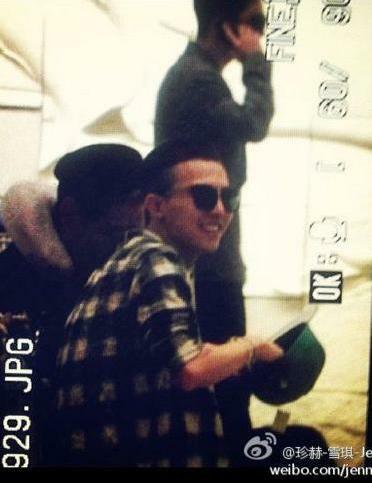 After he received my gift, he put it on his laps. 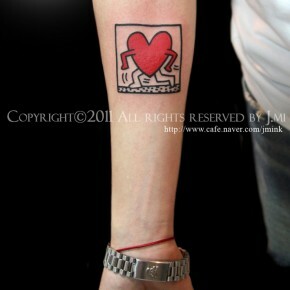 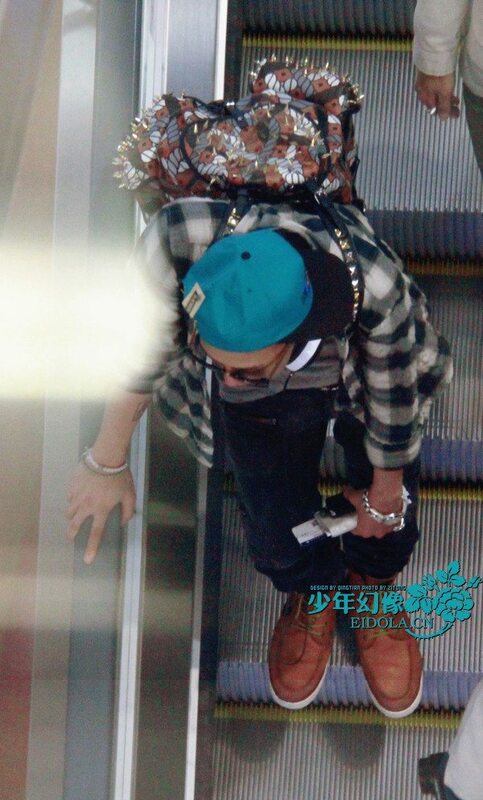 He was wearing a black cap, orange t-shirt, khaki colored pants, silver necklace, red bracelet. 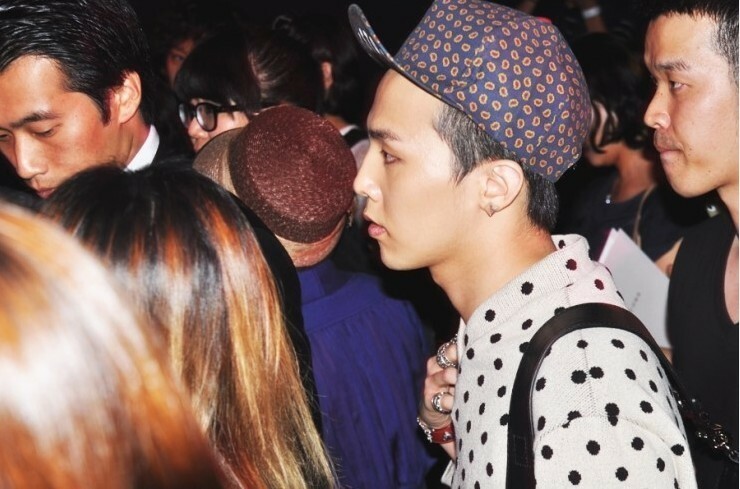 He had a little stubble on his chin but his face was flawless. 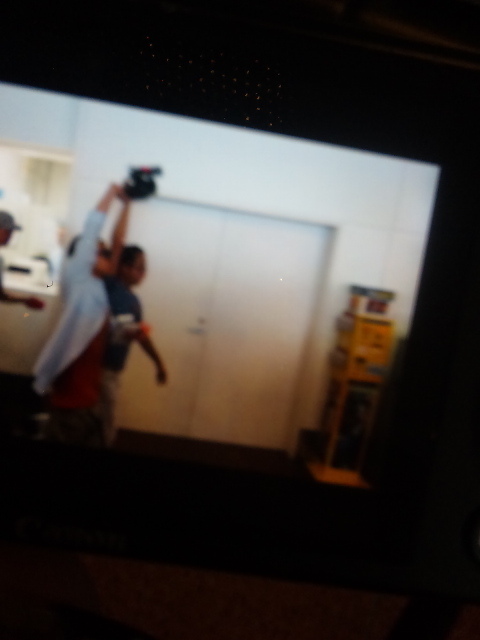 After the autograph and the handshake, we looked at each other and I got so nervous I didn’t know what to say! 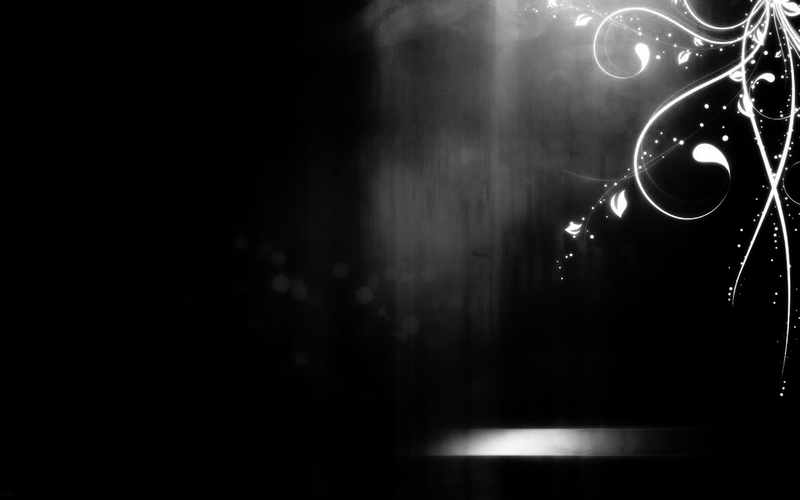 I told him to remember to read my letter. 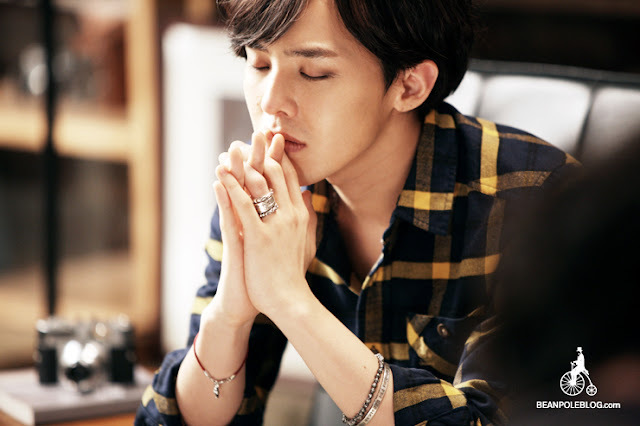 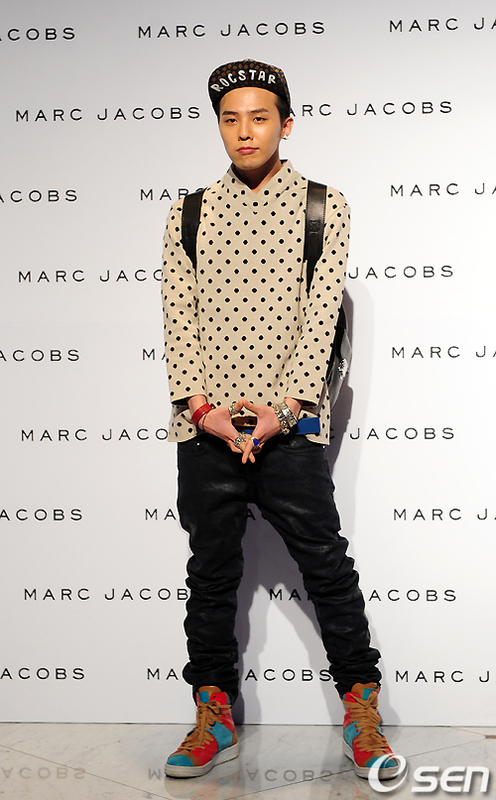 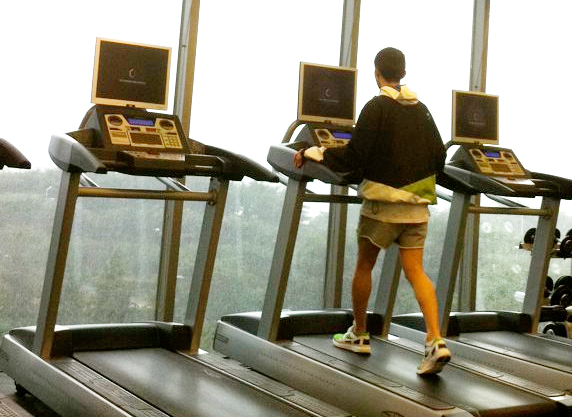 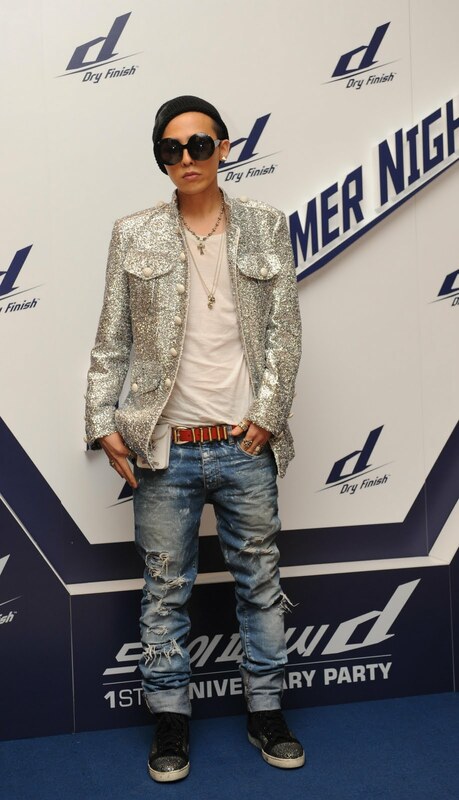 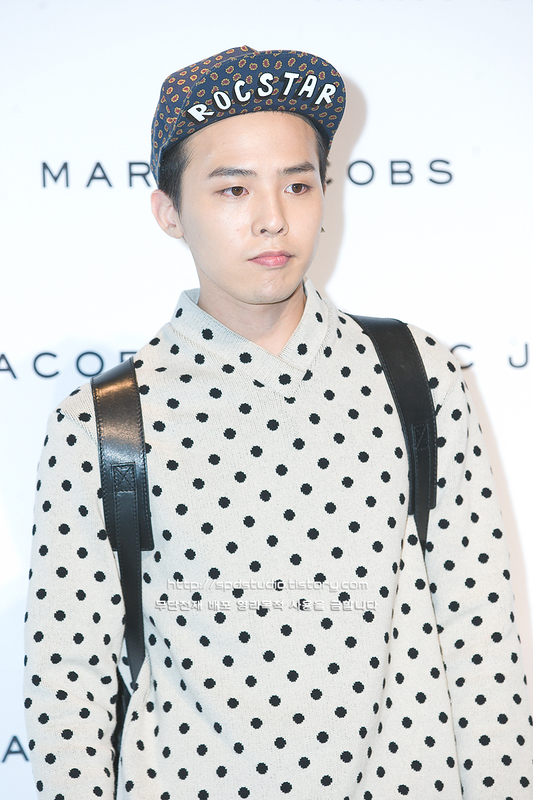 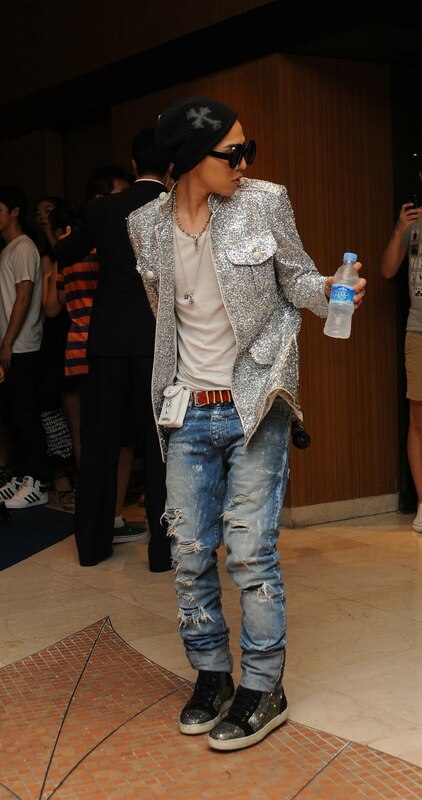 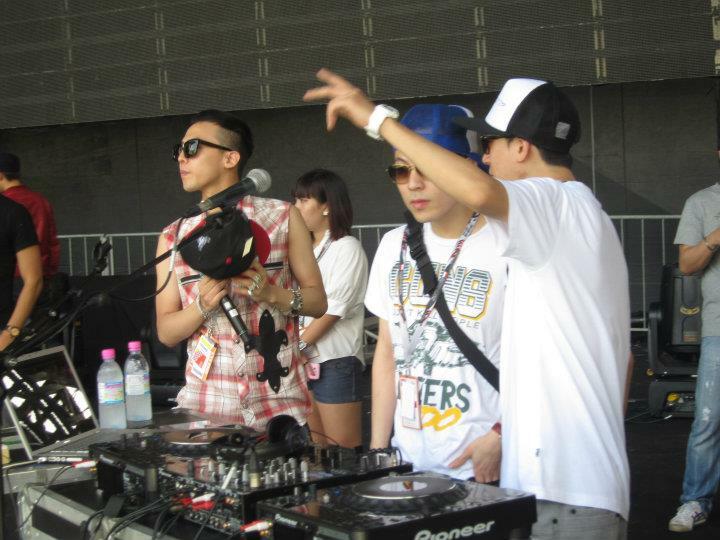 Jiyong nodded his head…he looked very tired and he’s gotten so skinny…makes my heart hurt. 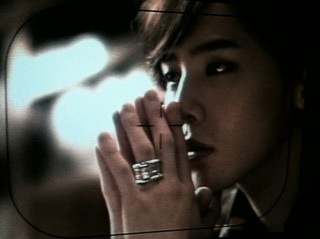 Anyway, thank you my butterfly. 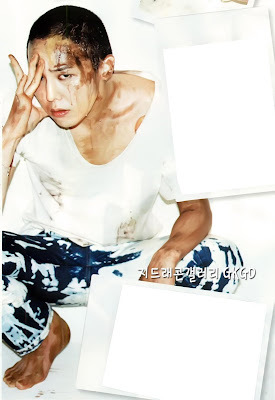 1st Look's next issue will be out October 6. 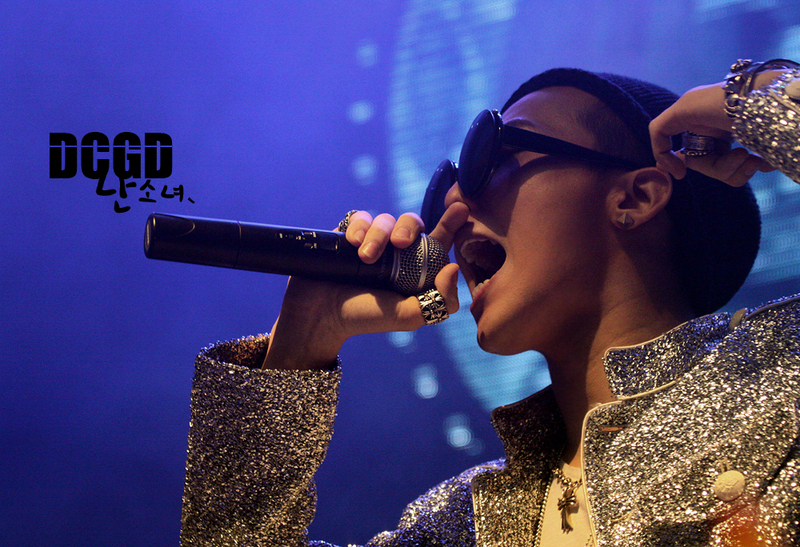 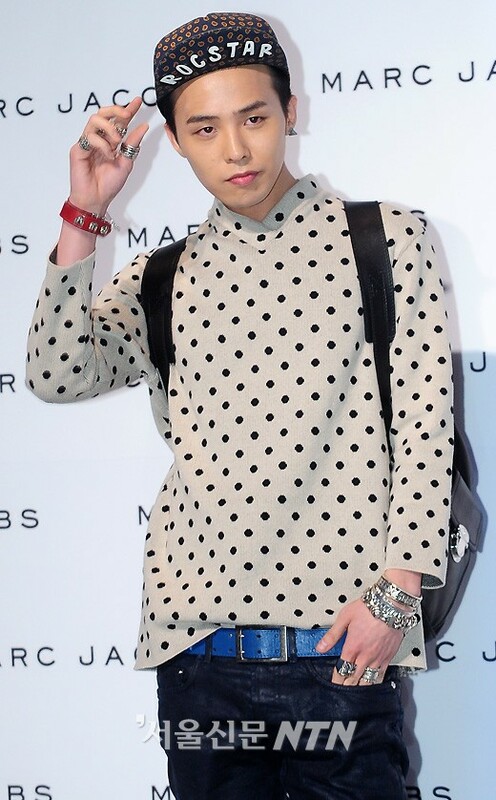 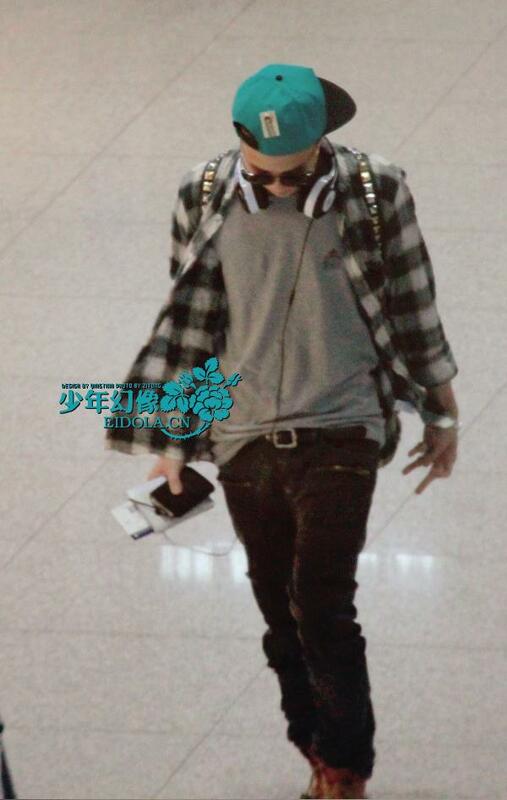 G Dragon for "SOUL by Ludacris" Headphones! 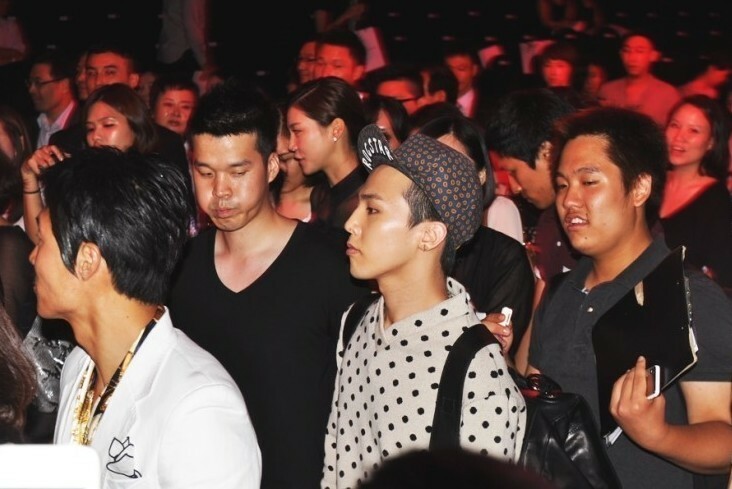 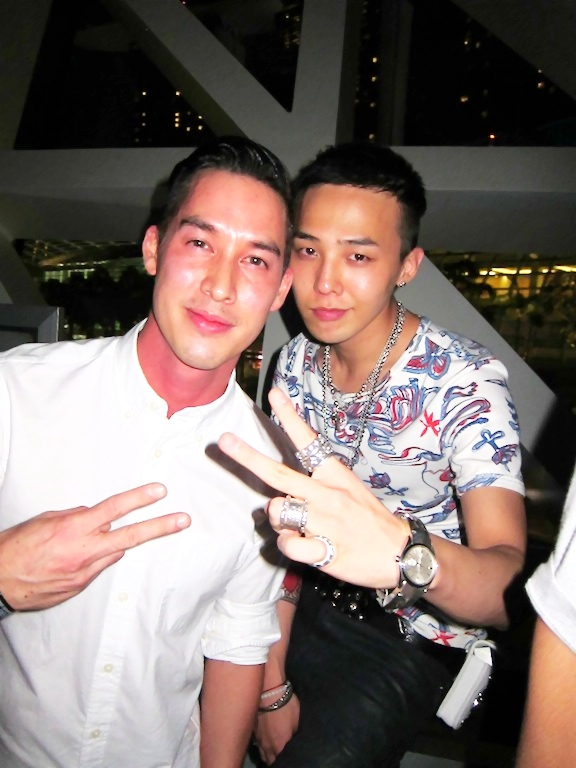 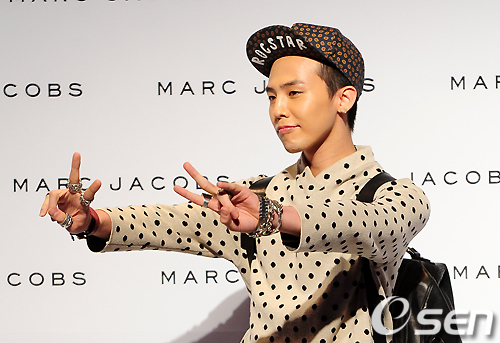 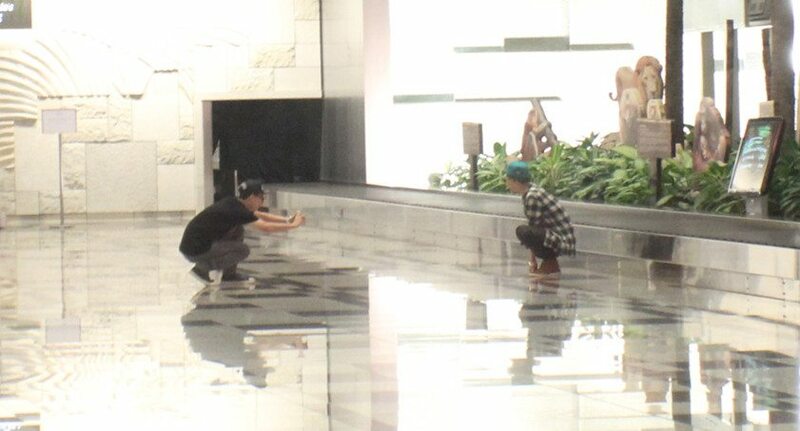 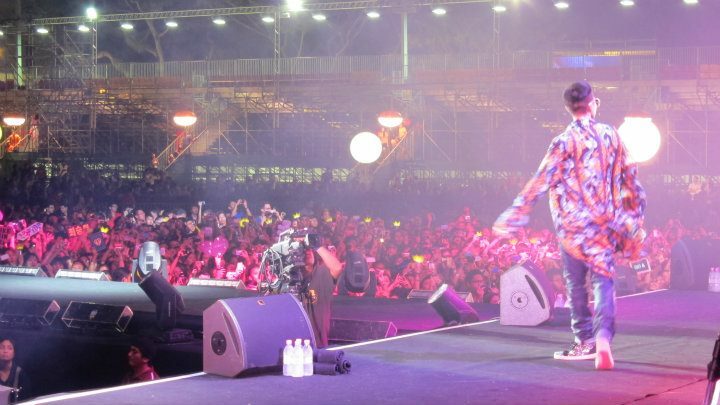 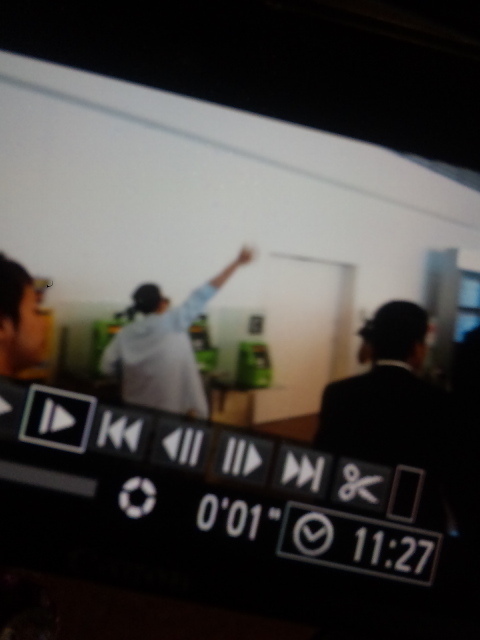 GD taking picture with fans in Singapore!